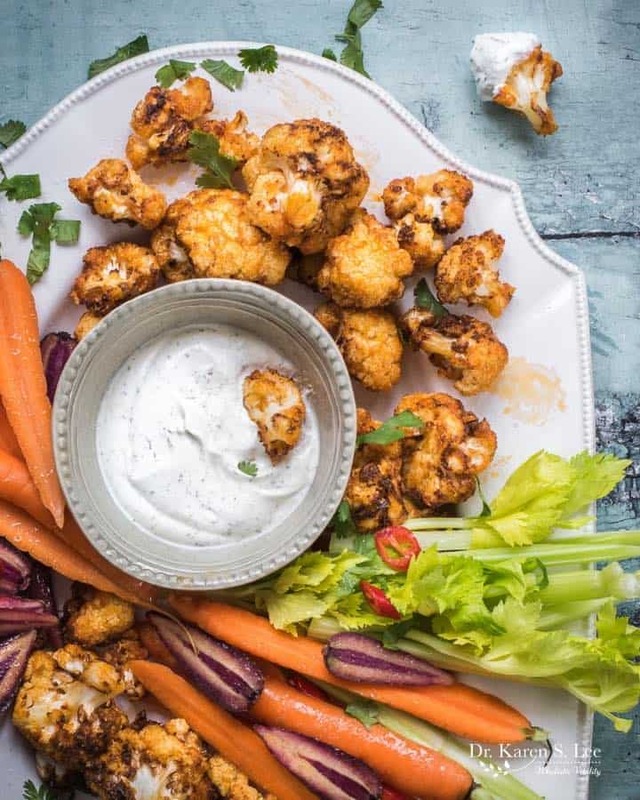 Air Fried Buffalo Cauli Bites are spicy, crispy, and easy to make in the air fryer. 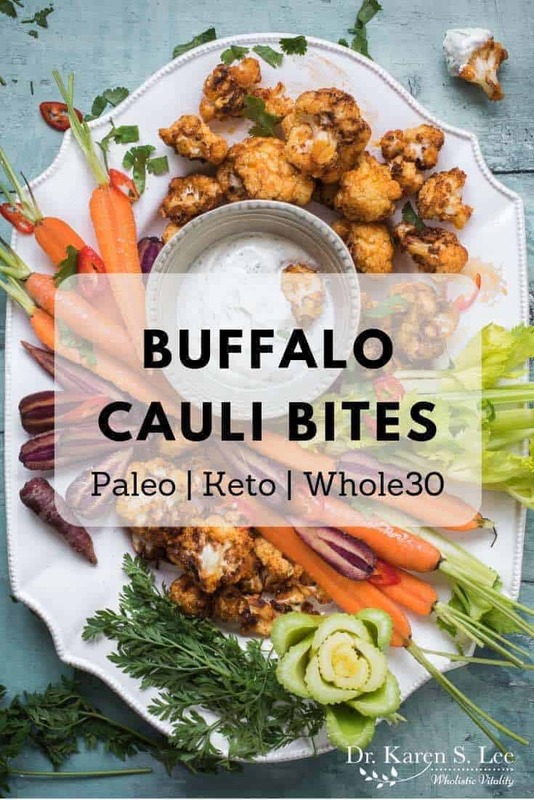 These are perfect Paleo, Whole30, and Keto-friendly snack! I went to college for two years in Upstate NY where the locals ate Buffalo Chicken Wings by the barrels. I always wondered what happened to the rest of the chicken after making all those wings. Seriously though, who doesn’t like spicy and crunchy chicken wings even if you don’t live in Upstate NY, ammiright? That’s why I hacked the iconic Buffalo Chicken Wings for the Instant Pot so we can ALL enjoy them. And the fact that you don’t have to deep fry in a pot of hot oil is even better! 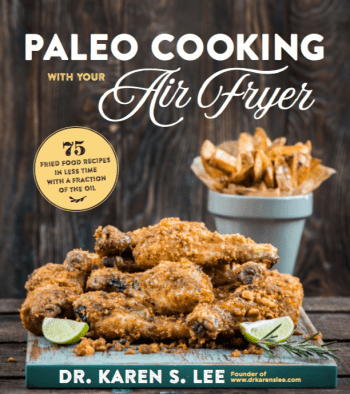 And for my cookbook, Paleo Cooking with your Air Fryer (WHAT? You don’t have it yet? What are you waiting for? 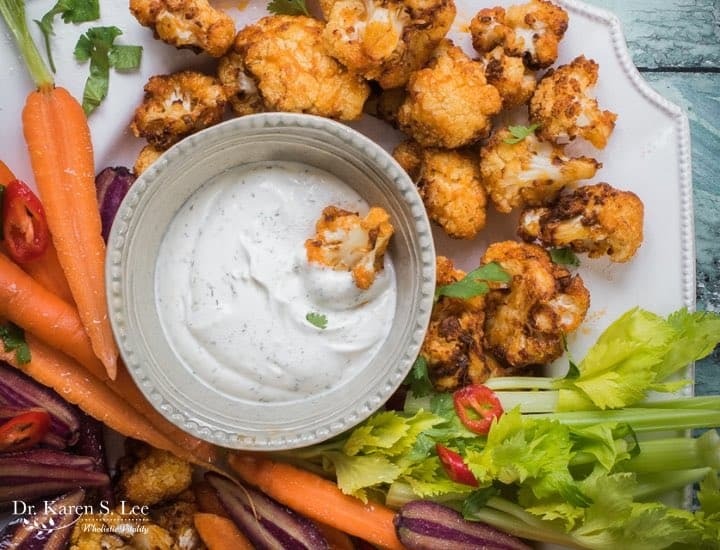 ), I came up with this yummy vegetable version with cauliflower for those times when you’d like to change it up a bit or to get more veggies into you or your children’s diet. The chicken wings are usually deep fried and then, mixed in hot butter sauce, but this recipe calls for air frying the cauliflower florets twice for better flavor. You can adjust the amount of hot sauce to your taste! 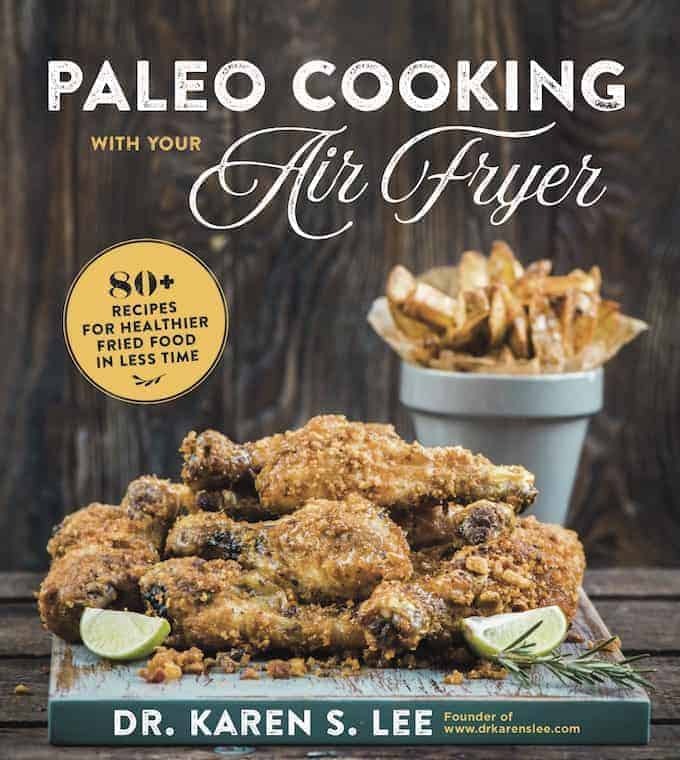 And of course, you can use this recipe for chicken wings too but you’ll have to fry them longer until the internal temperature is at least 160°F. Look how gorgeous these are, eh? Serve them up with some homemade Paleo Ranch Dressing and other veggies to temper down the heat a little. These will be your family’s favorite appetizer or as a game-time snack! 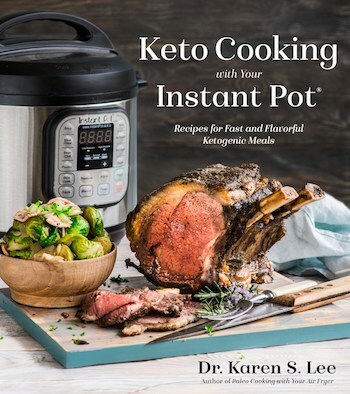 NOTE: To make the recipe Keto-friendly, omit the Cassava Flour. The texture might not be as crispy but they will be like roasted cauliflower. Still delicious! Cut and discard the outer leaves and cut the cauliflower into florets. In a medium mixing bowl, mix the florets with EVOO and coat them with the cassava flour. When the air fryer is ready, shake off any excess flour from the florets, place them in the basket, and set the timer for 6 minutes. Meanwhile, combine the excess flour, ghee and Frank's Hot Sauce in the same mixing bowl and set aside. When the timer goes off, transfer the florets to the mixing bowl and coat them well with sauce. Put the florets back in the basket and cook for 6 more minutes. Take them out when the timer goes off and add more Frank's Hot Sauce if needed. Serve immediately with the ranch dressing. To make this recipe keto-friendly, omit the cassava flour. The texture might not be as crispy but the cauliflower will still be a bit crunchy.